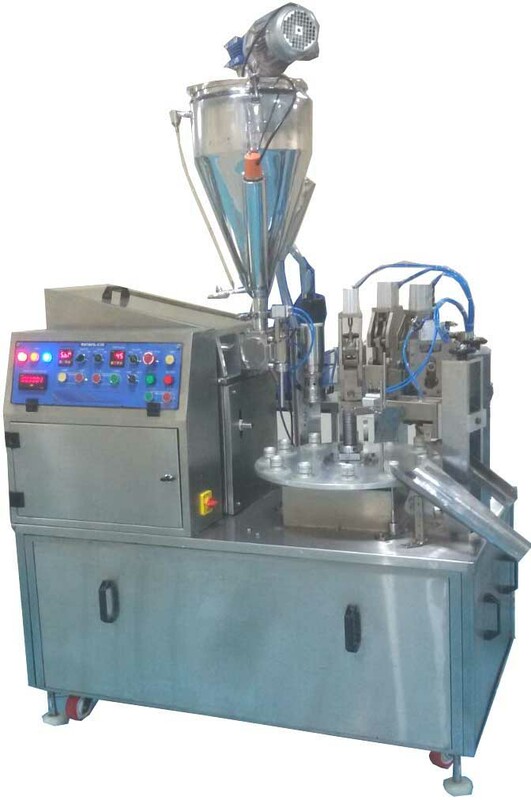 We Manufacture Semi Automatic Lami or Plastic Tube Filling Machine and Sealing machine , the operator places the tube by hand to the rotary turret , tube is filled , then it goes to hot air Station where we provide quality heating where you can adjust the temprature according to the requirement of plastic or Lami tube , after which it goes to the sealing station, then it goes to trimming and batch coding station and then to the ejection station only tube is loaded manually all other aspects are taken care by the machine. With tube filling machine you can fill cosmetics, ointments, creams, tooth paste or Petrolium Jelly. You can fill from 3grms to 250 grams.